Digital Communication System offering TrueDigital™ sound. 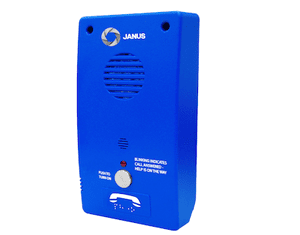 The Janus Digital Call System provides anyone who is currently looking for a solution to a 4 or less car group and need to either reduce phone lines or meet over 60’ of travel code requirements. With TruDigital™ crystal clear sound it is the ideal solution for a group of no more than 4 phones and two machine rooms. 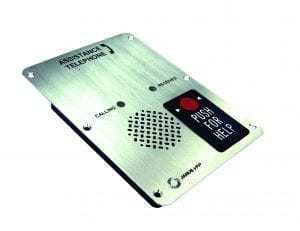 You are also able to put a third master unit in a lobby or fire control room. 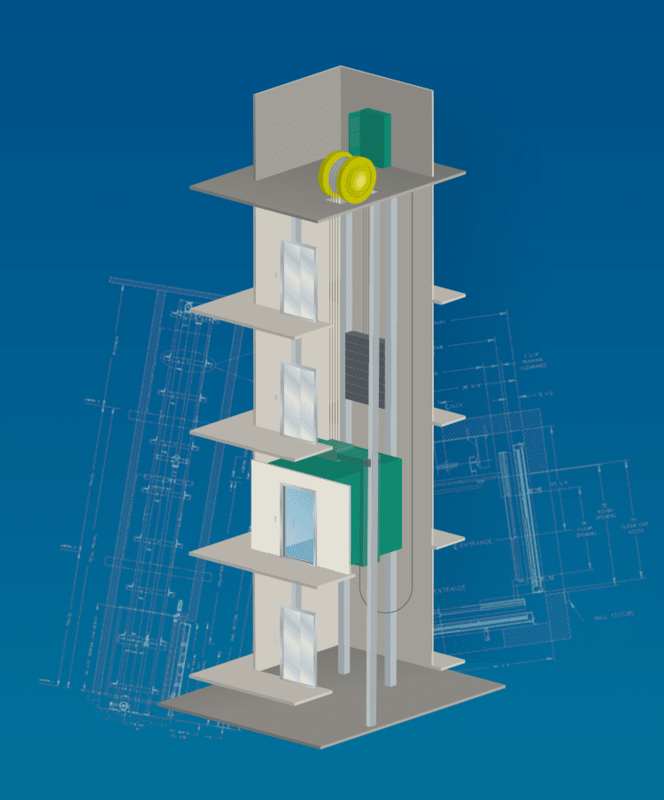 The system is comprised of 3 components; the digital phone in the elevator (which can be any current mounting style), the DCS4 unit which is the brain of the system and the digital master station (DMS) which would be located at the lobby, fire control or machine room. The DMS unit will include a digital hook switch to provide less wear on moving parts. The use of a digital system like the DCS4 allows for more flexibility of configuration with future modules including video features that will allow both the passenger and the person answering the call to communicate with each other. Messages like “help has arrived in the building” would be visible to the trapped passenger to help them understand what is taking place even if the passenger happened to be hearing impaired.